Roof replacement—or any major exterior remodeling project, for that matter—is a significant investment, which is why you will want to make it as manageable, perhaps even as predictable, as possible. Knowing the details of how your contractor will work on your project can help make it even easier. 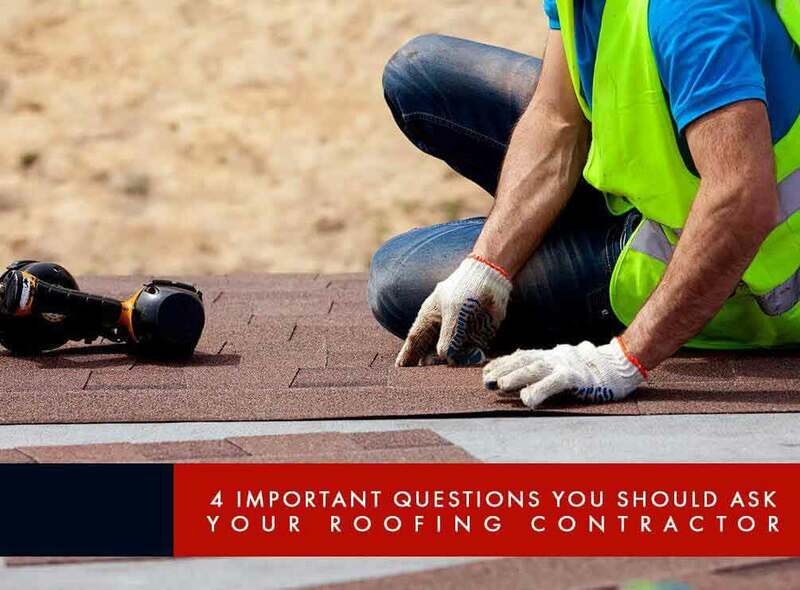 Here are four questions you should ask roofing companies before your roof installation begins. What is the project timetable? Roof replacement projects typically require a few days’ lead time to deliver the roof material, which in most cases is sent to your home days prior to the installation date itself. Knowing the complete timetable helps you prepare for the roof installation, as you likely will need temporary accommodations while the roof replacement is ongoing. Who will be in charge? Installation teams have a team leader or a foreman who serves as the homeowner’s point-of-contact. Take the time to know the key personnel, as you will entrust your home’s security and upkeep to them while the roofing installation is ongoing. Plus, it’s easier to inform just one person things like where the off-limit areas, the bathrooms, and the parking spaces will be. How will you protect the premises? Roof replacement generates a lot of debris: old roofing material, factory wrapping, and a whole lot of discarded nails. There’s a big chance that these waste materials can damage anything under your roof’s edges, like the landscaping, items in your patio, or even a car parked in the wrong place. While we take every measure to cover the surrounding areas with protective material before we even start, not every roofing contractor does this, so in addition to asking for general liability insurance information, take the time to ask how they will protect your property. Also, ask them how they will dispose of the discarded roofing material. How will we communicate? Don’t forget to ask the team leader for their contact information, and we don’t just mean their phone number. During the course of the project, you might need to exchange PDFs, lists, or shared calendars. If you have an email account with associated cloud-based storage like iCloud or Gmail, use that. Kroll Construction serves homeowners within Michigan. To know more about out our roofing services, or what sets us apart from other roofing contractors, call us today at (888) 338-6340 or fill out our contact form to schedule your free in-home consultation and estimate.